George Ryga is British Columbia’s greatest playwright. Only Eric Nicol, who had the first production of an original play by a B.C. writer at the Vancouver Playhouse, could begin to lay equal claim to the title of Father of B.C. Playwriting in the modern era. The turning point for Ryga–and for Canadian drama–was his lyric documentary play about a young First Nations woman named Rita Joe who comes to the city only to die on Skid Row. Commissioned as a work for Canada’s Centennial celebrations, The Ecstasy of Rita Joe is easily one of the most moving plays that Canada has ever produced. The Ecstasy of Rita Joe was also the first play in English to be presented in the National Arts Centre Theatre in Ottawa in 1969. For several years afterwards it shook the nation. Less acclaimed nowadays, its follow-up at the Vancouver Playhouse, Grass & Wild Strawberries, was a greater commercial success in B.C. with original music from The Collectors (who later became Chilliwack). In keeping with the communalism of the Ryga household in Summerland, where artists were continuously welcome, Grass & Wild Strawberries was a genuine ‘happening’ that boldly embraced the zeitgeist of Vancouver’s volatile street scene and B.C.’s back-to-the-land hippie movement. Spurred by these two remarkable hits, the Vancouver Playhouse then commissioned Ryga for another play slated for presentation in February of 1971. 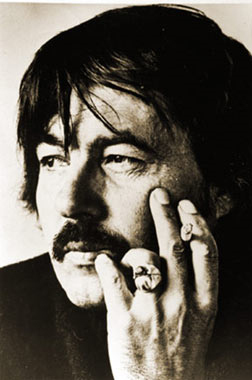 Ryga’s political drama Captives of a Faceless Drummer closely paralleled the events of the October Crisis in 1970, dramatizing conflicting ideologies. The Playhouse board of directors reversed a decision to produce the play. This led to the outright dismissal of artistic director David Gardner and to the reputation of Ryga as being ‘too radical’. Neil Simon’s Plaza Suite was produced instead. Ryga was born in Deep Creek, Alberta in 1931. He was raised by poor immigrant Ukrainian parents as a Catholic on a farm in northern Alberta. After seven years in a one-room country school, he left to work at a variety of occupations. In 1949, his writings for various competitions earned him a scholarship to Banff. He studied with Dr. E.P. Conklin of the University of Texas, Jerome Lawrence and Burton James. His first play broadcast on television, Indian (1961), was based on his experiences working with Cree Indians on his father’s farm during a period when Ryga was recovering from a bout of pneumonia. He understood how the Crees could view white man’s society as a prison. “Indian emerged out of the soil and wind of a situation in which I was painfully involved,” he later wrote. George Ryga credited the intervention of Daryl Duke for the successful launching of Indian and, with it, his professional career. Plays for television that followed included The Storm (1962), Bitter Grass (1963), For Want of Something Better To Do (1963), The Tulip Garden (1963), Two Soldiers (1963), The Pear Tree (1963) and Man Alive (1965). At the same time he was writing 12 short stories for radio and stage plays that included A Touch of Cruelty (1961), Half-Caste (1962), Masks & Shadows (1963), Bread Route (1963), Departures (1963), Ballad for Bill (1963), Indian (1964) and an adaptation of Margaret Laurence’s The Stone Angel (1965). This frenzied burst of activity included drafts for at least six unpublished novels, The Bridge (1960), Night Desk (1960–later published in 1976), Wagoner Lad (1961), Poor People (1962), Sawdust Temples (1963) and Old Sam (1963). The volume of work attests to the passion within the man. Ryga was proud to think of himself as a commercial writer. In 1977, for example, he wrote a script for the American TV show The Bionic Woman entitled Garden of the Ice Palace–and it was bought and produced after several rewrites. But money was always scarce. George Ryga persevered from the Okanagan with scores of radio and television plays, plus a series of hard-edged and increasingly political novels published by Talonbooks. The published version of Rita Joe had helped Talonbooks grow into the country’s leading publishing house for drama, but Ryga never prospered. “We were always broke and we couldn’t afford paper,” his wife Norma Campbell once said. “So George did most of his writing in his head and only produced two drafts, a first and a final.” Ryga was also an avid songwriter and banjo player; his son Campbell Ryga has since become a highly respected saxophonist. George Ryga died of cancer on November 18, 1987 at age 55. For several years afterwards his wife Norma remained in their home, just off Happy Valley Drive, overlooking Lake Okanagan, beneath Giant’s Head, where George Ryga sometimes went hiking. The house has since become the George Ryga Centre, mostly overseen by Ryga’s longtime friend and sometimes director Ken Smedley. In 1993, when the B.C. Book Prizes ceremonies were held for the first time away from the coast, in Penticton, on April 24, a George Ryga Memorial Gathering was held to celebrate his spirit at Okanagan College. Coincidentally Talonbooks released a final volume of Ryga’s posthumous writing, Summerland ($19.95), edited by Ann Kujundzic. This final book is a collection of essays and excerpts that reflects Ryga’s deeply political nature and his abiding sympathy for the downtrodden. James Hoffman produced a comprehensive biography in 1995. In 2003, John Lent of Okanagan College and Alan Twigg of BC BookWorld conceived an annual George Ryga Award for the best book by a B.C. author that exemplifies George Ryga’s passion for social issues. The Ecstasy of Rita Joe and Other Plays (General Publishing 1971) Includes Indian; Grass and Wild Strawberries. Hungry Hills (Talonbooks 1974). Originally published by Longman’s Canada in 1963. Ballad of a Stonepicker (Talonbooks 1976). Originally published as Ballad of a Stone-Picker (London: Michael Joseph Limited 1966). Grass and Wild Strawberries (1969). With music by The Collectors. George Ryga, a founding father of Canadian literature, theatre and culture, was derived from the “other.” In fact, he converted the other – his experience growing up in a marginalized Ukrainian community in the Athabasca of northern Alberta – into the first Canadian literature to depict the realities of the rural immigrant community in Canada. These realities are embodied in his early novels, Hungry Hills and Ballad of a Stonepicker. The Ecstasy of Rita Joe, Ryga’s most renowned work, brought the disaffected others of Canadian society into the mainstream consciousness, legitimizing professional Canadian theatre in the process. As a result, Ryga became a major spokesperson for the disenfranchised of the society, raising an aspect of social-humanitarian awareness that contributed to the evolving notions of Canadian identity. When people experienced The Ecstacy of Rita Joe, they were affected by the immediacy of theatre’s power, and the impact of this literally moved them to a place of humanness that had to be acted upon. It has been said that great writers are like another government, and Ryga and his work were a definite party in the opposition to the status quo. What was it that gave Ryga such an insight into the plight of the others – the disadvantaged, disempowered and marginalized? Basically, his people had been sent to the cold, barren Athabasca, with a growing season of fifty days, because their skin was swartheir than that of other immigrants. In his own words, he lived closer to feudalism than the lights of Edmonton, 120 miles away. His closest counterparts in this condition were the native peoples. He evolved from this margin to become a Canadian artist in the 1950s. As a male, this was to go way beyond, and to fly in the face of, the status quo. It was to defy all established expectations and traditions; it was akin to treason. The ultimate achievement of such a radical choice was to creatively transform into the significant other. In the process, Ryga realized the power of such a choice, and he had the intuitive sense to exercise the voice of that experience, infusing it with a tone and resonance that was undeniably real in its representation of those other perspectives on the landscape and, consequently, in its challenge to the entrenched value system. For a time, Ryga was regarded with an uneasy respect. Grass and Wild Strawberries created another radical departure: it attracted young people to the theatre in unprecedented numbers. This was truly a volatile mix, and was highly disturbing to the status quo. Young people were beginning to form their own theatrical cadres across the country and, to some extent, emulate elements of this theatrical style, expressing themselves in radically new ways and dramatically demonstrating their discontentment and unrest. This theatre of socio-political issues and humanitarian concerns was a hot potato, putting a lot of people on the hot seat. Whole communities were alive with ideas, originality, creativity, heated debate – and even confrontation. The flip side of the cool, calm, collected colonialist culture had been inflamed. This theatre had the capacity to unleash a dangerous force. It was different from the usual imported fare, in that it didn’t attract the accustomed elite, but people from all walks of life. None of this went unnoticed. In the late spring of 1970, the Vancouver Playhouse commissioned Ryga to write a play about urban violence. In October of the same year, the FLQ Crisis in Quebec precipitated Pierre Trudeau’s implementation of the War Measures Act, and the entire country was placed under Marshal Law. This event became the subject matter for Ryga’s most compellingly political play, Captives of the Faceless Drummer. As a result, the CEOs on the Vancouver Playhouse’s Board of Directors imposed their own martial Martial Law against this play, censoring it out of the production season. Their replacement choice was an import, none other than Neil Simon’s Plaza Suite. Because Ryga protested, his theatre was discredited and his voice was excised from the scene as effectively as various totalitarian regimes silenced the Havels, Mrozeks and Hays. So effective was the discreditation in the aftermath of the Captives controversy that Ryga did not receive a mainstage production on the government-funded regional theatre system, which Rita Joe legitimized, for 17 years. In essence, Canadian theatre was effectively Simonized into a format of television emulation, which has more in common with sitcom than with theatre, and Ryga’s theatre of ideas, issues and social-humanitarian concerns was polished off the stage. Ironically, what was done to the work was similar to what was done to Rita Joe; it was disenfranchised from the culture. Paradoxically, all the issues the work addressed continue to bite at our heels today, threatening to unravel what little fabric remains in the knit that holds us together. It’s time to re-evaluate the theatre of Ryga, just as we’ve been re-evaluating our values vis-a-vis the forces of globalization and technology and their dehumanizing effect, which inevitably impacts our sense of identity. It’s imperative that we do so before we become any further detached from who we are, who we might have been, and who we might still be, in exchange for becoming further co-opted by the faceless drummers and relegated to the no-man’s land of the virtual insignificant other. With home, a new generation of theatre practitioners will re-evaluate the power of the theatre as other government, and as another opposition party to the party with the power. Bearing in mind, heart and soul that the objective is not to attain power but to resist it and, in opposition, to hold an immediate mirror up to the nature of the beast, this new generation can make that beast accountable, thereby restoring some balance and functionality to an increasingly dysfunctional condition. This must be done regardless of the potential for embarrassing or offending the Emperor – without his clothes – and his public. In truth, what could be more entertaining? There still is hope if a new generation takes back the theatre with the fire in its belly that was simonized away… takes back that “other” theatre that was never fully realized, and affects another revolution on the theatrical wheel.